Our Worst Noises - These are real advertisements that in many instances illustrate retailers' total disdain for your right to quiet. • For motorists, besides permanent hearing damage, the noise is damaging to the nervous system. -- The medical journal Thorax reported the case of four young men who suffered a lung collapse triggered by loud bass music. Three of the men were at a concert or club, while the fourth was in a boom car outfitted with a 1,000-watt bass system. -- The pounding bass noise decreases a driver's ability to hear pedestrians and other vehicles, including emergency vehicles such as police cars, ambulances and fire trucks. People are bombarded by noise every day. Sometimes it’s loud and inescapable, like the sound of construction happening outside your window, and other times it’s quiet, like the hum of a fan that fades into the background. Either way, unwanted noise is stressful, and most people have limited opportunities to be in a quiet space and truly unwind. Psychiatrist and scientist Mathias Basner studies how noise negatively affects our health in ways that extend beyond the auditory component. In his work, he draws connections between noise exposure and an array of health issues ranging from poor sleep to cardiovascular disease. Tune in to Mathias’s 2018 TEDMED Talk below to learn more about the many things we can do on both an individual and societal level to better protect ourselves from noise and to foster the health benefits of silence. Quieter O'ahu Comment: A truly MUST SEE video! 1. Industrial Noise: In this category we'll include things such as equipment used for road repair, busses, refuse collection vehicles, leaf blowers, sirens of emergency vehicles, and noises from other like sources. 2. Agriculture Noise: In this category we'll include tractors, cultivators, livestock, and so on. 3. 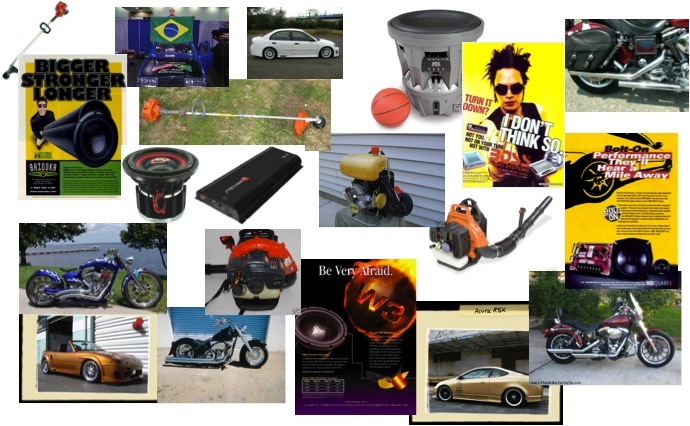 Individual Noise: In this category we'll include our toys and the noise they make - principally, modified motorcycles and modified trucks and automobiles. This site WILL NOT attempt to address Industrial Noise and Agricultural Noise. While noise levels from these sources can be and are often abused and are problems for us all, the focus of this site will be the loudest and most egregious noises that we all deal with on a daily basis. We do provide information on who to contact on the "Reporting Noise Violations" page. 1. The illegally modified exhausts of motorcycles. 2. The illegally modified exhausts of automobiles and trucks. 3. The illegally used "Boom Car" stereos found in many automobiles and trucks.